Programs and projects can cover a broad range of goals – developing and launching new products, responding to competition, meeting regulatory and compliance requirements, implementing operational efficiencies and many more. But far too many managers will fall short of success because they fail to devise a proper benefits realization plan. Somewhere between program initiation and program execution, many project leaders will lose sight of a project’s original intended benefits. That’s when a formal benefits realization plan and an ongoing benefits realization analysis can make the difference between victory and defeat. Recently, I was hired by a Fortune 500 company with major operations in Colorado to help turn around a struggling program aimed at introducing its consumer products to an international market. The program encompassed nine project managers and 17 projects that had been underway for more than a year. It was a complex initiative that the company hoped would open new domestic and international markets. The company planned to announce the international product launch as a new source of revenue during upcoming quarterly analyst briefings. Time was running out and the realization of benefits was in jeopardy. Throughout the year, the program had been adjusted to meet changing business and organizational requirements. Stakeholders and program teams believed everything was under control until the last few months prior to product launches. The program was designed to deliver a set of related benefits that collectively presented a high quality consumer experience, along with a rich feature set that surpassed the firm’s competitors. Unfortunately, previous program adjustments had actually removed some of the projects that were critical to the very user experience that was intended to outshine the competition. A gap analysis quickly revealed the flaws in the troubled program. Instead of diluting the user experience portions of the program, the company should have eliminated some of the more advanced features that were planned. While a rich feature set may have offered more to the consumer, a diminished user experience would have seriously hindered consumer adoption of the product. Once the analysis was presented, the company restored the “full user experience” projects and scaled back some of the richer features. Ultimately, the program was successfully launched and the company was able to announce its product launches during the scheduled analyst briefings. The company could have avoided a lot of problems had it devised a bona fide benefits realization plan at the start of the program. A benefits realization plan clearly identifies the business benefits of a project and documents a plan to achieve them. Ongoing reviews of the plan track the “planned” and “actual” results in a variety of areas, including whether the program was delivering the promised benefits. To ensure that stakeholders and project teams keep a strong focus on the program’s intended value, planned and actual results need to be reviewed and updated whenever the program is adjusted. With a good benefits realization plan, the company described above could have adjusted its program while making sure that the intended benefits were preserved. A benefits analysis at the time of proposed adjustments would have revealed the negative impact of removing the “user experience” portions of the program. Throughout its lifecycle, a program and its constituent projects are frequently adjusted to meet business needs or a changing company environment. Adjustments might include a reduction of scope, resource reallocation, delivery schedule changes, redesign of processes or many other alterations that will likely affect the ultimate benefits of the program. While well-meaning adjustments may address immediate needs, they can also result in unintended consequences that will severely impair the originally desired benefits. Measuring the impact of such adjustments is nearly impossible without a benefits realization plan. When program adjustments are proposed, a fresh benefits analysis should be performed to evaluate how the changes will impact the expected benefits. The results of the analysis, along with an amended benefits realization plan, should be presented to program stakeholders for approval so there is no misunderstanding about how the new plan will impact the intended benefits. 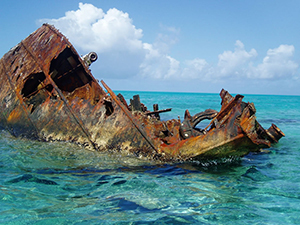 Managing a program without a benefits realization plan is like steering a rudderless boat. Without it, there is no way to be sure that the delivery of benefits has not been compromised by decisions made during the program execution phase. A benefits realization plan clearly identifies the business benefits of a project and documents a plan to achieve them. Ongoing reviews of the plan track the “planned” and “actual” results in a variety of areas, including whether the program was delivering the promised benefits. JP Batra is the founder and Chief Technology Officer of Blue River International, Inc., a consulting company specializing in information technology strategy and IT department remediation. His areas of expertise include IT governance, portfolio/program design, and turnaround of product development programs and other IT initiatives. With a background in both business and technology, JP is proficient in aligning IT programs with business objectives. For more than 15 years, he has held leadership positions in domestic and international initiatives, helping companies and organizations accomplish their goals.